Small Handmade Leather Cell Phone Purse/ Small Leather Cross body. Handmade Leather Cellphone Purse/ Accessory Purse. This small Leather purse has a chain cross body strap. 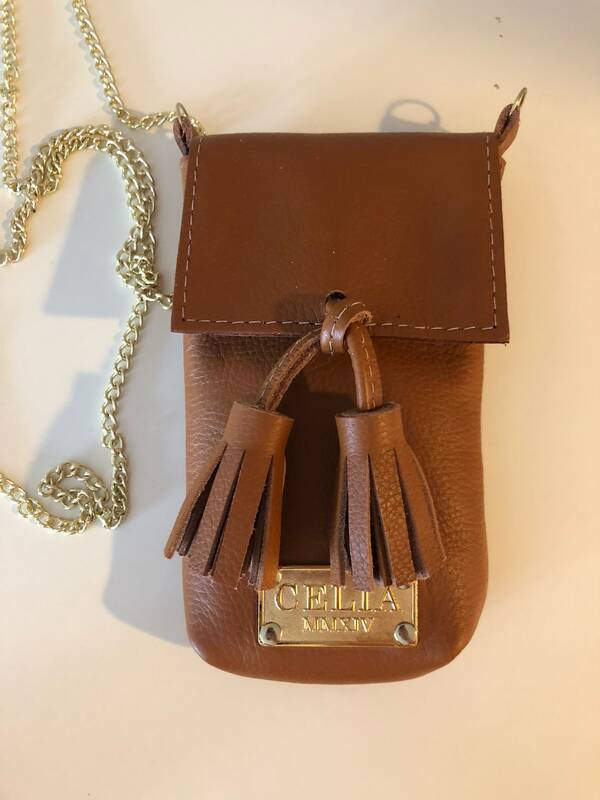 This Small Purse features a flap with a snap closure and a double tassel detail. The Flap is self lined with leather, and fully lined on the interior. Made with 100% Genuine Leather, all materials and hardware are sourced from North America.